Earlier this year I wrote about the Celebrity Estate Planning Tragedies of Phillip Seymour Hoffman, Marlon Brando, Howard Hughes, James Brown, and James Gandolfini. Recent events and a few discoveries on my part have compelled me to add to that list of Celebrity Estate Planning Tragedies - and I’m not just talking about Prince. Prince made the worst, most obvious, and also most common estate planning mistake of all - he failed to do an Estate Plan at all. By doing so, he left considerably more money to his heirs (five siblings) than he may have wanted and inadvertently gave millions to attorneys, private banks, and the US government. In addition, his wealth could have potentially benefitted a number of charities and other worthwhile causes, but instead will go to the government, lawyers, and heirs who may not be capable of managing such a large influx of cash. Lesson: Do your Estate Plan! Unlike Prince, Whitney Houston took the prudent step of drawing up her estate plan. Unfortunately, she never updated it after her daughter was born. Just prior to the birth of her daughter Bobbi Kristina Brown in 1993, Whitney drew up a Will and Trust. Over the next 18 years, her wealth grew to a fortune of over $20 million. According to reports, her estate planning documents allowed for Bobbi Kristina to have 10% of the fortune at age 21, and the rest paid out later. This meant that at age 18, Bobbi Kristina was given a payout of approximately $2 million dollars. By not updating her estate plan, Whitney failed to account for whether or not her daughter would be capable of handling such a large amount of money. Bobbi Kristina unfortunately died shortly after turning 21. Her boyfriend at the time was recently found guilty in a wrongful death suit. Lesson: Update your Estate Plan to account for beneficiaries’ level of maturity, personality, and general situation in life. Michael Jackson acted prudently by creating an Estate Plan. Unfortunately, he failed to place a substantial amount of his assets in the Trust. This is called failure to “fund” a trust. When someone creates an Estate Plan, the largest part of their plan is typically the creation of one or more trusts. Trust documents protect assets, avoid probate, and spell out a distribution plan. However, in order for a trust to work as intended, it must be funded. This means assets have to be re-titled in the name of the trust. Because Michael failed to take this important step, his estate - and its beneficiaries - have been in and out of probate court numerous times. While the possibility of going to court can never be completely avoided, not funding one’s trust increases the likelihood of litigation, high attorneys’ fees and time in court. Lesson: Create a trust and be sure to re-title your assets in the name of the trust. Ask your attorney for help if necessary. Heath Ledger died tragically in early 2008. The young actor had indeed created a Will, but he (or his attorney) had failed to include the possibility that he might have children at the time of his death. Heath’s Will left his entire estate - $20 million - to his parents and three sisters, and completely omitted his daughter. Whether or not one has children at the time they create their estate plan, a good Will or Trust should provide for the possibility of children born in the future. Many people make the mistake of thinking they will update their Will when/if any major life changes occur, but many don’t get around to it. Luckily for Ledger’s daughter, relatives revealed that the majority of his assets would be put in a Trust for his daughter. For questions about Estate Planning, Probate, or Trust Litigation, contact our Walnut Creek Trust and Estate Law Firm at 925-322-1795 to set up your consultation. Over the next 30-40 years, it is estimated that baby boomers will transfer an unprecedented 30 trillion dollars to the next generation, resulting in the greatest wealth transfer of our time. In contrast, studies estimate the previous inter generational wealth transfer (still in process) at just $11 trillion. Due to the proliferation of second and third marriages, the rise of Alzheimer’s and dementia, and the increasing wealth of our San Francisco East Bay community, the threat of estate litigation has never been larger. There are several things baby boomers can do now to prevent family feuds down the line. Just having an Estate Plan is not good enough. Have you actually read it, word for word? Are your intentions spelled out in clear, direct language that cannot be misinterpreted? Is it legally valid, up to date, and in a safe place? The reason I ask these questions is because of my daily experience as a trust and estate litigation specialist. For example, I know of several prolific (now retired) estate planning attorneys in Contra Costa County whose estate plans were so poorly done they have fueled dozens of litigations. I have also had quite a few cases where the will or power of attorney is simply invalid because they were done without the guidance of an experienced estate lawyer. And lastly, I have several cases where the estate plan has simply been lost, creating a host of problems for the beneficiaries. Overall, your safest bet is to check that your Estate Plan is secure, and read through its contents to ensure clarity and relevancy (is it up to date?). If you have any questions, don’t hesitate to take it to a Trust and Estate attorney for reviewal. A solid, clear Estate Plan that accounts for all your unique family dynamics is the best prevention for future lawsuits. Anticipating family disputes is part and parcel of double checking your estate plan (or doing your estate plan). While no parent or individual can predict the future, they can take into account their beneficiaries' personalities and differences. For example, if parents are setting up a trust for two children who tend to have disagreements, a good elder law attorney might suggest naming a third party to act as trustee upon the parents' death. He or she would also help you to anticipate other events that could cause stress and strife among beneficiaries. As an attorney who frequently works with families to resolve trust and estate disputes, I am familiar with the myriad of ways familial disharmony can arise after a loved one dies. There are a number of planning tools that can be employed to dramatically lessen the chances of a conflict. While I may have placed this as number 3, communication is by far THE MOST important tool you have to prevent fighting over your estate when you pass. Countless estate litigation cases arise out of misunderstandings or lack of communication. And more often than not, miscommunication - or lack of communication altogether - begins years before anyone has actually passed away. When it comes to money, most of us believe it's best to stay mum, even when it comes to our children. And sometimes for good reason. Many parents believe their children may not work as hard if they know just how much they stand to inherit. While this thought process may have some merit, the alternative can lead to a messy situation after the parent's death. I recommend parents at least begin the conversation about inheritance when their children are mature enough to handle it. A respectful conversation that introduces parents' plans for their bequests allows children to process and accept their decision, as well as provide constructive feedback. Individuals and parents who are planning to leave large donations to charities, organizations, or other trusted friends and relatives will also likely benefit from communicating with them as well. Overall, it's always best to minimize surprises upon one's death. When a parent or loved one dies, emotions will run high. Anything that person can do to minimize additional stress or shock will allow the best chance for children and beneficiaries to peacefully wrap up their estate. If you’re over the age of 65, any action you take that provides significant benefit to another (such as changing your will to exclude a family member) can potentially be perceived as Financial Elder Abuse. In most cases, this is difficult to prove without clear evidence of undue influence or a firm diagnosis of dementia. However, it is something to keep in mind if you’re over sixty five and considering wealth transfer to another individual. While the chance of a lawsuit may exist, taxes are for certain. If you’re feeling inclined to make a gift of your assets or add a child to the title of your home prior to your death - Halt. There are considerable tax savings for the beneficiary of your assets if they wait until after your death to receive them. While allowing family members to use your home, car, or other valuable assets might be a necessary action in your everyday life, it’s usually best to avoid any formal title changes. With such a vast amount of wealth about to be transferred to the next generation, boomers may wish to spread out their gifts by leaving inheritances that skip a generation. And, depending on family circumstances, leaving money for grandchildren's college tuition may prove more advantageous for family harmony than placing it all in a single family trust. Generation skipping trusts, or GSTs, as they're commonly called, may also have tax advantages for those families with significant assets. Overall, communication and family specific planning are the two most important factors in preventing family disharmony and unnecessary attorneys' fees. A carefully crafted estate plan that includes a detailed trust, power of attorney, and advance health care directive, puts you, your family, and your assets, in the best position to live healthy and productive lives. While almost everyone has heard of Duke University, many are not familiar with the family who gave the prestigious school its name - in particular, the infamous heiress Doris Duke. For those of you who have not heard the name, or may need a reminder, Doris Duke was the daughter of tobacco industry titan James Duke. Born in 1912, Doris inherited her father's fortune at the young age of 12 years old. While Doris responsibly managed her father's wealth over the course of her life, she allowed her vast inheritance to fall into the wrong hands at the very end of her life. The story of Doris Duke's estate is both a lesson in diligent estate planning and the risk of financial elder abuse as you age. Heiress to nearly $100 million in the early 20th century, Doris found herself dubbed "million dollar baby" and "richest little girl in the world" by popular news media. As Doris entered adulthood, she found herself one of the most sought after socialites, alongside girls such as Woolworth heiress Barbara Hutton. Unlike Ms. Hutton, Doris shunned public attention. Throughout her life, the media eagerly followed Ms. Duke's extravagant lifestyle, world travels, and numerous affairs. But just like billionaire heiress Huguette Clark, Doris avoided public attention and became more reclusive as the years passed. During her lifetime, Doris traveled the world, communed with Indian Mystics and Witch Doctors, wrote for Harper's Bazaar, got married and divorced twice, and developed a passion for nature and the arts. Ms. Duke also maintained a staff of over 200 people to manage her five homes - a Park avenue penthouse, a Beverly Hills mansion, a palace in Hawaii named "Shangri-La," a summer home in Newport, and a 2,000 acre farm in New Jersey. Doris inherited nearly $100 million dollars in assets upon her father's death in 1924. Over the course of her lifetime, she grew her inheritance to over 1 billion dollars. Doris was a prudent and responsible businesswoman, and as such put a plan in place for her legacy long before her death. Her detailed will gave several million to friends and family, with the remainder going to a charitable trust. With over 1 billion in assets, the Doris Duke Charitable Foundation would become one of the world's richest foundations. Ms. Duke specified in her estate plan that the foundation support environmental causes, prevention of cruelty to children and animals, medical research, and the performing arts. Her original will named a longtime friend and physician as executor, to ensure her wishes were carried out as she intended. As an estate planning attorney, I would give her original plan an A+ for specificity, clarity, minimizing taxes, and choosing a responsible executor. Unfortunately, Doris changed her estate plan just several months before her death in 1993. There was one significant change: Doris replaced her current executor with a man named Bernard Lafferty. She had known Bernard for six years, during which he served as her butler and closest confidant. As executor, Bernard would have a significant role in the governance of her charitable foundation, and most importantly receive in excess of $10 million. Bernard Lafferty came into Doris's life as a result of an incident that occurred many years prior. In 1940, Doris gave birth to a premature baby girl who died shortly thereafter. At the age of 73, she met a woman named Chandi whom she believed to be the reincarnation of her deceased child. At 75, she legally adopted 32 year old Chandi, bestowing numerous generous gifts upon her, including a million dollar home in Hawaii. Chandi and her boyfriend James, who served as Ms. Duke's bodyguard, played a prominent role in Duke's life for the years that followed, during which time Chandi introduced Bernard Lafferty into Doris's household. For six years, Lafferty served as Ms. Duke's butler and became her closest friend. Unfortunately, this was also a period of controversy and suffering for Duke. In 1990, at the age of 78, Doris became mysteriously ill at her Hawaii home. Lafferty convinced her that Chandi and her boyfriend, James, were conspiring against her. Fearful, Duke decided she and Lafferty should relocate to her Beverly Hills home. There she reportedly sank into depression, and turned the full management of her affairs over to Lafferty. In April of 1993, in a state of physical and mental decline, Doris removed the executor of her will, her friend and former physician, Harry Demopoulos and gave complete control of her estate to Lafferty. During the summer that followed, Doris was in and out of the hospital, often on multiple painkillers, and isolated from outside contact. There was also a report of a choking incident in which Lafferty refused to call an ambulance. After months of suffering, Doris Duke died on October 28, 1993. Will contests involving elder abuse are typically brought for two reasons. The first is if someone believes the testator (person who Will belongs to) lacked mental capacity at the time the will was signed. In California, the probate code specifically states that a will is not legally valid if signed by a testator who lacks mental capacity. The second main reason for a will contest involving elder abuse is when someone believes that the testator was subject to undue influence at the time the will was signed. Undue influence is a very serious legal allegation which California law defines as "excessive persuasion that causes another person to act or refrain from acting by overcoming that person's free will and results and inequity." Evidence of both were presented in the will contest of Doris Duke. Following her death, the former executor of her state, Dr. Demopoulos, contested the validity of her decision to change executors, believing that Doris was not of right mind when she executed the new will, and was a victim of elder abuse by Lafferty. Three years, 40 lawyers, and $10 million dollars in legal expenses later, Lafferty eventually agreed to take a payout in exchange for renouncing his seat on the Doris Duke Charitable Foundation board, and stepping down as executor. Doris Duke was put in a difficult position at the end of her life. She no doubt felt isolated and alone, and likely wondered who her real friends were. She was a smart businesswoman who had managed her financial affairs prudently throughout her life. Had she not met Chandi or Bernard Lafferty, I would like to believe she would not have altered her will, and a legal battle would not have ensued. So what can we learn from Doris's crucial mistake? I think the lesson of Doris Duke's story applies to the children, grandchildren, and close friends of elders. As informed and responsible family and community members, we can watch for signs that elder abuse may be occurring, and offer assistance when necessary. There's no clear cut way to avoid elder abuse, but awareness is the first step. If you have questions about elder abuse or the validity of a will, contact my Elder Law Firm at 925-322-1763 for a free consultation. What Happens to inheritance if a Parent remarries late in life? While there are no official reports that Hugh Hefner has dementia, he provides a great example of an elderly parent remarrying later in life. For those of you out of the popular news loop - Hugh Hefner married 29 year old Crystal Harris in late 2012. While Hefner reportedly had Crystal sign an "iron clad prenup," and there are no reports of his mental decline (at least public ones), this is not the case for many seniors who choose to marry later in life. The Alzheimer's Association reports that nearly 1 in 3 seniors dies with some form of Alzheimer's or other kind of dementia. Once someone turns seventy, there is a 1 in 7 chance they already have dementia. As they continue to age, the likelihood only increases. For seniors that have been diagnosed with some form of dementia - or worse yet, fall in the grey area that does not lead to a conclusive diagnosis - romantic relationships can be potentially hazardous. What's the Risk of a Late in Life Marriage? Certainly, no child would want to deprive their parent of finding love later in life, but what is the risk to the family's estate if that parent should remarry? Well, potentially huge. The children could lose their entire inheritance, as in the case of New Orleans Saints owner Tom Benson. In this lengthy trust litigation case, the children tried to prove their stepmother had exercised undue influence over Benson. His children had been previously slated to inherit the majority of his fortune until he signed a new will leaving everything to his new, and much younger wife. Benson's kids alleged that the new wife had essentially coerced him into signing everything over to her. The attorney for the children attempted to prove financial elder abuse, but in the end was unsuccessful. The children were cut out, and the new wife left everything. Dad marries his younger caretaker with a will leaving everything to his 2 adult children. He makes no amendments to his will before his death. "if a decedent fails to provide in a testamentary instrument for the decedent's surviving spouse who married the decedent after the execution of all of the decedent's testamentary instruments, the omitted spouse shall receive a share in the decedent's estate." As is the case with all California Probate code, there are multiple exceptions for this rule, such as a spouse being explicitly provided for through another means, intended to take the place of any inheritance. Nevertheless, for the purposes of our example, let's assume that is not the case. So, the caretaker in our scenario could potentially inherit the majority of dad's assets. This would depend upon how much of the estate is community property at the time of his death, and how much is separate property. Now, if dad was of sound mind when the marriage occurred, the children would not have a legal footing on which to stand. The caretaker would inherit her share, and the children would get a nice lesson in the value of detachment. BUT, if the children can prove in probate court that their father lacked mental capacity at the time of the marriage, they have a valid case of elder abuse. If financial elder abuse can be proven, California Probate Code 259 will essentially deem the spouse dead. In a legal sense, the spouse will be treated as if they had "predeceased the decedent" and the benefit they receive from the state will be limited. Financial elder abuse is the most common kind of elder abuse I see in my practice as an Elder Law attorney in the SF East Bay. Nevertheless, it can be difficult to prove in many situations. In Contra Costa County, I often see financial elder abuse taking place in the form of undue influence. California probate code defines undue influence as "excessive influence" that essentially "overcomes a person's free will." But, unless a doctor gave dad a diagnosis of Alzheimer's or dementia prior to his marriage to the caretaker, proving undue influence and/or financial abuse can be tricky. As an Elder Law attorney in Walnut Creek, many cases I litigate in the SF East Bay involve a parent who falls in the "grey area" of dementia, meaning one doctor may have diagnosed them with mild dementia, but there are questions around when it began, and how severe it really is. If this were the case with dad, his children could make a case against the caretaker for financial elder abuse. 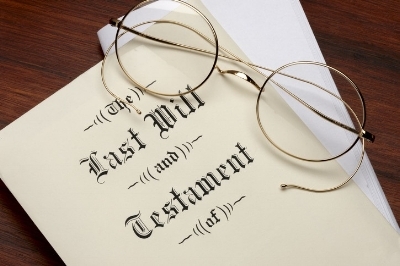 It is unlikely they would be able to disinherit the surviving spouse completely, but could potentially recover some of the assets. When families work with experienced Elder Law attorneys, most cases of this nature can be settled in mediation without significant funds going to lawyers. How Can Children help an Elderly Parent protect against Financial Elder Abuse? There are many steps children can take to ensure an elderly parent does not fall prey to financial elder abuse. In the scenario outlined above, the children could have encouraged their father to update his estate plan. For example, dad could have amended his trust to include a provision on how property placed in the trust will be treated. For example, that it "retain the character it had when it entered the trust." This means that prior to his marriage, all assets in the trust would be considered separate property. Similarly, they might encourage their father to check that the trust does not say that everything placed in the trust is community property. Another estate planning point children can bring up with an aging parent is their financial power of attorney and Advance Health Care Directive. For example, should they become incapacitated, who has the authority to manage their financial and medical affairs? In the current celebrity drama of Lamar Odom, estranged wife Khloe Kardashian had both medical and financial power of attorney, despite the fact that they were weeks from having their divorce finalized. Had Lamar done a power of attorney or health care directive, the duties would not have gone to his legal wife by default. If the parent has been given a diagnosis of dementia, and does not already have a valid power of attorney, a child can establish a conservatorship to manage their affairs. For example, Britney Spear's father Jamie has a conservatorship over her, meaning that if Britney ever wanted to remarry, he would legally have the authority to allow or disallow the marriage. This is the rare instance of a parent having a conservatorship over a non special needs child. Legal actions aside, perhaps the most powerful tool children have to help their aging parents is communication. Communicating with an elderly parent on a regular basis can alert one to suspicious activities, and allow the child to provide assistance before harm has been done. In my own family there is an elderly relative who was giving away large sums of money to certain individuals, unbeknownst to anyone. Her children were living their own lives, and seldom checked in on their mother. Left alone, she began to develop dementia, and was easily preyed upon by others. And of course, if you believe a parent is exhibiting signs of dementia, consult a doctor immediately. For questions about Estate Planning or Elder Abuse, call my SF East Bay Elder Law and Estate Planning Law Firm at 925-322-1763 for a free consultation. Huguette Clark is a woman who definitely could have used a good Estate Planner. Heiress to Copper Magnate Senator William Clark of Montana, Huguette was heir to hundreds of millions of dollars, several sprawling homes, and numerous valuable artworks. After living the last two decades of her life at Mount Sinai Beth Israel Hospital in NYC, she died at the age of 104 in 2011. Since her death, her estate has been in litigation, with the latest suit having just settled August 26th. The matter most recently in court was a claim by her estate (controlled by NYC public administrator) to recover approximately $4 million dollars in gifts given to Beth Israel Hospital. The reason for the suit was alleged Elder Abuse, specifically that Ms. Clark had been manipulated into giving the gifts to the Hospital. The judge hearing the matter stated that her conclusion would be based on “whether or not the decedent possessed the higher level of mental capacity to support the ability to make valid gifts.” The issue of mental capacity is one of the key factors in determining if financial elder abuse has occurred. The estate's claim of financial elder abuse was subsequently overturned. The judge ruled that the statute of limitations had expired on the gifts, which included a valuable Edouard Manet painting, “Pivoines dans une bouteille”. Since her death in 2011, Huguette's estate had been in a very public legal feud, with multiple court hearings. The lawsuits hinged around the fact that Huguette wrote two wills within six weeks of each other, as well as the claims by executors of her estate that she lacked mental capacity and was in essence, insane. They painted her as an "eccentric recluse" who wore a "soiled bathrobe" and was a scant 75 pounds. Doctors at the hospital maintained that Huguette was extremely mentally sharp until the end, but was nevertheless "extremely frightened" of the outside world and lacking in her "concept of money". While one could imagine her having difficulty comprehending financial sums, as she grew up with such excess, how Huguette came to fear the outside world is a subject of fascination. In 2010, NBC News began a series of investigative reports on Ms. Clark. Of particular interest to the reporter were her several vast mansions which were meticulously maintained, but never lived in. While the executors of Huguette's estate (on behalf of her family) used financial elder abuse as a basis for their case, her money was at the heart of the legal battle. The two wills Huguette executed were vastly different - one left all her money to the distant relatives, while the other cut out her relatives completely, and left her millions to arts foundations, the hospital, and those who cared for her (doctors and nurses). The will contest which followed her death resulted in her relatives receiving $34.5 million after taxes, $85 million going to a CA arts foundation, $35 million to the DC Corcoran Gallery, and a whopping $24.5 million dollars in legal fees. It seems that this payout did not satisfy her family members, however, as they subsequently went after nearly $100 million dollars that Huguette gave away during her lifetime. This current court fight comes eight months after Clark’s 20 distant relatives won a $34.5 million settlement in a separate will contest. Other payouts in that previous estate battle include $85 million to a California arts foundation established in the heiress’ memory, $35 million to the Corcoran Gallery in Washington, DC, and a whopping $24.5 million in legal fees. Now the executors, on behalf of the family, are going after over $100 million that Clark gave away during her lifetime. The lawsuit that settled on August 26th of this year was only one part of the family's mission to recover her fortune. The Manhattan Surrogate Judge presiding over this case ruled that a separate lawsuit against two doctors and a nurse who cared for Ms. Clark could proceed. The physicians and nurse had been given approximately $3.6 million in gifts by Huguette. Even in our relatively quiet East Bay town of Walnut Creek, I frequently see such complex estate litigation cases, albeit with far less funds. The majority of my elder law cases involve alleged financial elder abuse, will and trust disputes, and questions of mental capacity. The importance of having a solid estate plan as well as specific directions on how your estate should be managed should you become incapacitated cannot be overstated. For a free consultation, call my downtown Walnut Creek Elder Law office at 925-322-1763. I will be happy to answer any questions you may have.